DALLAS, May 1, 2018 - The American Heart Association is launching the EmPOWERED To Serve Urban Health Accelerator™, a grant-based initiative to identify innovative, clearly-defined urban business solutions to drive community change to improve health and well-being. The goal of this initiative is to increase healthy living behaviors, enhance the chain of survival and cultivate community transformation. By working in communities to address key factors that impact health and wellbeing - economic stability, education, societal influences, neighborhoods and healthcare - the Accelerator is an opportunity to receive funding to activate critical projects that will positively impact urban community health. Community environments play a crucial role in health outcomes. People living just five miles apart can have a difference in life expectancy of more than 20 years. That’s why the American Heart Association - the world’s leading voluntary organization dedicated to building healthier lives, free of cardiovascular diseases and stroke - is working from within communities and seeking fresh ideas to impact health through the EmPOWERED To Serve Urban Health Accelerator™. 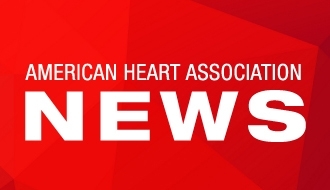 “The American Heart Association knows that to empower change within multicultural communities and help reduce the gap in health disparities among minorities, we need to engage and support community leaders and innovators. That’s why the launch of this initiative is so important as it gives a platform to those with deep ties to the community who can identify a problem and know that they can make a difference,” says Christa Chambers-Price, EmPOWERED To Serve Urban Health Accelerator™ spokesperson and Founder of Entre-SLAM.